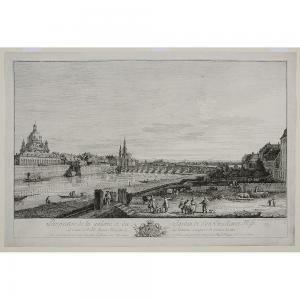 Find artworks, auction results, sale prices and pictures of Bernardo Bellotto at auctions worldwide. 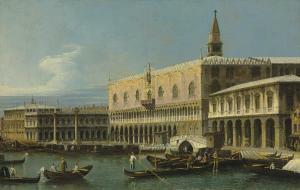 Bernardo Bellotto (Venice 1721-1780 Warsaw) Venice, a view of the Molo, looking west, with the Palazzo Ducale and the south side of the Piazzetta oil on canvas 24 3/8 x 38 ½ in. (61.7 x 98 cm.) 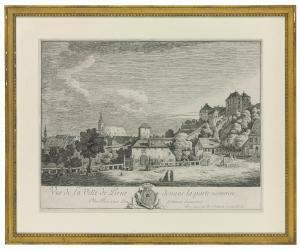 Provenance Property from the Estate of Giancarlo Baroni; Sotheby\’s, New York, 29 January 2013, lot 30, where acquired by the present owner. Bernardo Bellotto (Venice 1721-1780 Warsaw) The Grand Canal, Venice, looking North from the Palazzo Contarini dagli Scrigni to the Palazzo Rezzonico oil on canvas 24 x 36 3/8 in. (60.9 x 92.2 cm.) Provenance John Blackwood (c. 1698-1777), Soho Square, London, and by descent through his grand-daughter, Mary Catherine Desaguilliers (c. 1705-c. 1765), and her husband Thomas Cartwright (1735/6-1772) of Aynhoe, Northamptonshire, to their son, William Ralph Cartwright (1771-1849), and by descent at Aynhoe Park through, Richard Fairfax William Cartwright (1903-1954), until 1959. with Richard Green, London, 1993, as 'Canaletto', from whom acquired by the following. 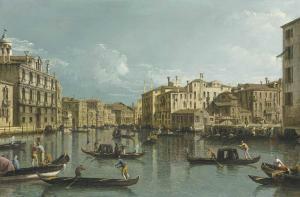 Anonymous sale; Sotheby's, New York, 26 January 2006, lot 62 ($1,696,000). 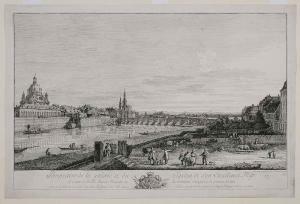 Bernardo Bellotto - Perspective De La Galerie Et Du Jardin Son Excellence Mgr./ Le Compte De Brühl..